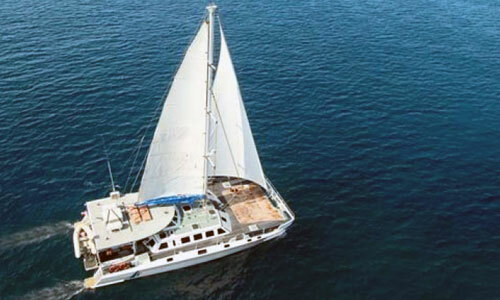 Bali Water Cruising is the great and exciting cruise to explore the Blue Ocean and Lembongan Island as the destination. You will get the fantastic experience during your lovely holiday in the Paradise island of Bali on the luxurious Boat. Bali Sea Cruise will invite you to crossing the ocean of Bali and go to the Lembongan Island or Penida island by very comfortable boat with professional and experienced ship crews. Your tour will enter the water territorial of Nusa Lembongan (Lembongan Island) famous with its white sand, clear sea water, the beauty of its coral and the cleanliness of its coast A lot of colorful fishes can be found here and also visit the island of lembongan by island tour to visit underground house seaweed farming as activity of the people whose live in lembongan island. The services of this cruise will bring you to all that you wish. Bali has beautiful beaches in the various regions. Nusa Lembongan and Nusa Penida is a separate small island which also has a beach very clean and attractive place to visit. Some companies also offer many vacation packages to visit this place, one of which Bali Water Cruise package. Bali Water Cruising would be very impressive if you can invite all your family and your closest friends to explore this small island. Outstanding service ensure you a vacation trip to Nusa Lembongan be a tourist trip you will never forget as long as you live. Bali Hai Cruise capable of carrying up to 400 passengers, promising you an exciting experience in Nusa Lembongan Island with the facilities that it provides. Each of the Bali Hai cruise passengers will certainly feel very comfortable because it served like a prince or a princess. Bounty Cruise is a Catamaran cruise ships made in Australia's Austal Ships with a capacity of 600 persons capable of traveling at 29.0 knots. Bounty Cruise has 3 decks with full luxury interior, giving an opportunity to all tourists to enjoy the scenic south coast of Bali with a variety of activities. Bali fun ship no less interesting with other existing yacht in Bali. This company offers so many packages to choose from. Starting from an overnight package in Nusa Lembongan until the honeymoon. 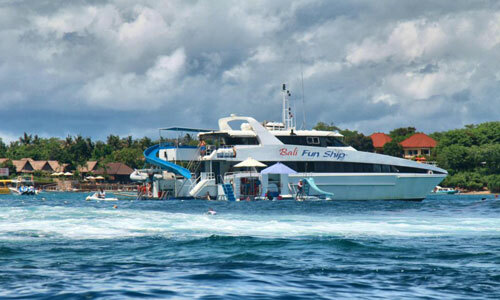 Sail Sensation is one of the most Catamaran cruises are known in Bali. Satisfactory service quality make it well known yacht. Activities offered is also quite interesting. 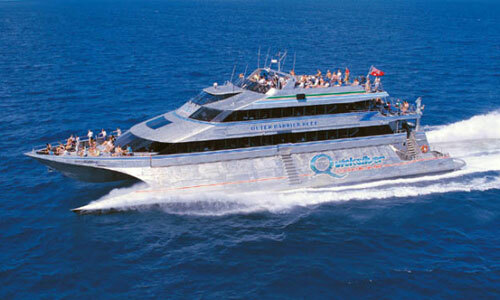 Quicksilver cruises are the only cruises in Bali are heading to the island of Nusa Penida. Luxury yacht and magnificent will spoil you during the journey to the island of Nusa Penida.